Doreen Shaffer is one of Jamaica's finest and most respected singers. She began her career at Studio One at age 20 recording her song "Adorable You" and 2 duets;"Welcome You Back Home" and "The Vow" with famed Barbadian singer Jackie Opel. She,along with Opel, became part of the original Skatalites lineup onstage and remained at Studio One for many years. She also worked with many other producers on the island, most notably Bunny Lee and Joe Fraser. Doreen remained on the scene in Jamaica throughout the 70's and 80's until 1992 when she emigrated to the USA and rejoined The Skatalites where she remains now as the only original Skatalites member regularly touring with the current lineup. She has also recorded and toured with a few bands from Europe including Dr. Ring Ding and The Senior Allstars from Germany and The Mood Invaders from Belgium. She is often rightfully referred to as The Queen of Ska. Ken Stewart started playing music when he was 4. His father is a tuba player and his mom plays the piano. Joining the choir at age 7, he took piano lessons from age 8-13 focused mostly on classical, traditional jazz and ragtime and began playing rock and blues around age 11. Ken fell in love with jazz fusion in the early 70’s but did not pursue a musical career and instead studied Occupational Therapy and went on to work in the independent living movement. In 1986 Ken started playing in Boston-based reggae bands and in 1987 he met Lloyd Knibb from The Skatalites who began playing with him in a Rhode Island based band call Wilson Blue and The Blue Roots. In Feb 1988 Ken auditioned for The Skatalites and has been performing with them off and on ever since. He has taken some long hiatuses in between to work with other artists including legendary drummer Winston Grennan’s Ska Rocks Band featuring famed guitarist Lin Taiit. In 1995 Ken cofounded the band Dion Knibb and The Agitators who quickly became on of Boston’s best bands and served as backing band for many Jamaican singers coming to the Boston area such as Ken Boothe, Alton Ellis, Hopeton Lewis, Phyllis Dillon, Pat Kelly, Tinga and Roman Stewart, Eddie Lovett and Judy Emmanuelle. In 1998 he rejoined The Skatalites and in 2000 Ken became manager of the band and has helped them continue their legacyuntil very recently turning that role over to a management team so that he can focus more on playing the music. When he is not touring with The Skatalites he can often be found playing with the Rhode Island band Soulshot, which also features his old friend Dion Knibb. Aurelien Metsch aka Natty Frenchy is a guitarist, artist and producer based in Brooklyn, New York (www.wadadamusic.com). For over 20 years, he has performed as a freelance guitar player for legendary reggae artists such as U-roy , Alton Ellis , Sizzla, Sean Paul just to name a few. Besides his work as a guitarist, he has holds the prestigious lead/Riddim guitar role for the Congos (10 years) and currently for the legendary Skatalites band. Adept of the Rastafarian faith, Natty Frenchy carries the tradition of Jamaican music from reggae to ska and rocksteady. Val Douglas is not only the current bassist of The Skatalites, but also is also Keyboardist, Arranger, Composer and Producer. He has made music with the essential icons of Reggae, Ska, the Rocskteady, Dub, and Soul, among other genres. To cite some examples, Val worked with artists such as The Abyssinians, Toots & The Maytals, Lee "Scratch" Perry, Bunny Maloney, Peter Tosh, Delroy Wilson, Dennis Brown, Ken Boothe, Lloyd Charmers, Bob Marley and The Wailers, The Heptones Ernest Ranglin, New York Ska Jazz Ensemble, June Lodge, Marcia Griffiths, Lorna Bennet, Lloyd Charmers, Bob Andy, Pablo Moses and The Congos ... and many more! Nigerian-born, London-raised, and Brooklyn-based Zem Audu is an award winning saxophonist, composer and producer with a fresh sound that blends contemporary jazz, and soulful grooves. In 2008 whilst still living in London he won 1st place in the Worshipful Company Of Musicians Jazz Competition. He was nominated for a Parliamentary Jazz award for Best Jazz Saxophonist, and was awarded the Yamaha Jazz Scholars award. His musical journey began at childhood when he taught himself classical guitar and piano before choosing the saxophone as his main form of expression. Then he studied independently with Courtney Pine, and with Jean Toussaint at Trinity College of Music, graduating top of his class in 2008. Zem has had the great pleasure of playing and recording with many of the worlds finest musicians including: Jason Moran, Frank McComb, Ernest Ranglin, Mica Paris, The Black Arm Band, Plan B, Paloma Faith, and Hugh Masekela. In 2010 Audu moved to Brooklyn and began touring with the legendary Skatalites. Now Zem is performing and recording as an artist in NYC. His work is garnering attention from the international press with interviews in the New York Times, and his latest studio album ‘Spirits’ featuring Mike Stern comes out this year. Andrae Murchison is a soulful trombonist, arranger, and songwriter from Savannah GA., who has worked with Roy Hargrove, The Duke Ellington Orchestra, The Count Basie Orchestra, Abdullah Ibrahim, Gregory Porter, and many more. Murchison received his BA from Oberlin Conservatory of Music, and his MA from Aaron Copeland School of Music. AM has studied trombone with Teddy Adams, Robin Eubanks, Steve Turre, and Curtis Fuller. 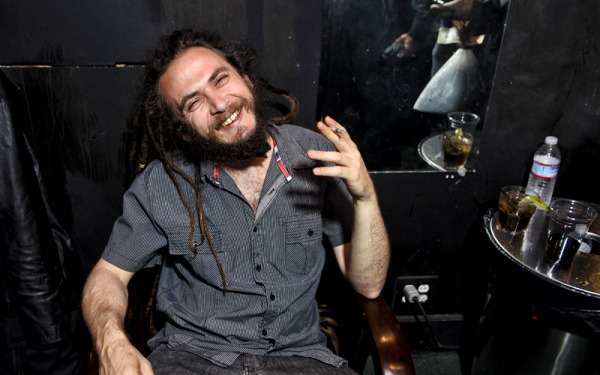 AM has toured the world extensively since 2006 and has been a member of The Skatalites since 2007. Trevor sparrow Thompson born in rae town Kingston Jamaica attended Kingston college high school played side drum in the cadet marching band.during that time I played in sing out kingston up with people band after that I played with the mighty mystics band. I have been playing drums for 52 years. I am the first drummer from Jamaica to player rock steady and reggae music out side of Jamaica by playing on a cruise ship in 1969 . I have backed up all Jamaican singers of that era on live stage show performances including Bob Marley and the wailers I.e peter tosh and bunny wailer in 1970 .the venue was the v .I .p lounge.the skatalites is the 14th.Jamaican band that I am playing in after I left sing out Kingston I played with the mighty mystics the lead singers were Keith and TeX .band #3. The vertues the vocalist were Bob andy and Ernie smith band #4 Charles and the teddy boys the vocalist was hopeton lewis band #5 surplus soul aggregation playing on a cruise ship the vocalist was Winston Cole.band#6 the now generation vocalist mickey Chung Jeff Chung band#7the debonaires the vocalist Phillips Dillon. Lester sterling alto sax.Roland Alfonso tenor sax were the horn men .band#8 bumps Jackson and the caps the vocalist was bunny third world rugs and Carlos b t express ward alto sax and flute band # 9 merging traffic the vocalist Carlton bad boys what u gonna do coffee .band,#10 the meditations band I was the band leader.band#11i produce and played drums on an album for an actor on all my children soap opera .his name is Richard schoberg.I am the first drummer for the soul syndicate band in their early stages. I was the band leader for the merging traffic band and the sky rockers band. I was the lead vocalist for the sky rockers band playing all over new York city and other cities in the united states . I recorded for brads records . straker records with glen Adams on piano and organ rick grater on guitar.recorded Carlos Malcolm reggae Christmas album in1971 played on maxi romeo and glen Adams single ( Jordan river) recorded for Carlton coffee; joy white; junior soul menns(techniques);Tyrone Evans(paragons)Lloyd charmers( going in circles) in the 60ties. Recorded and produce just out of reach playing drums and vocals; l don't want to loose you drums and vocals. Write the lyrics for Doreen Shaffer song(love is the way).in the relay of life Lloyd knibb has handed me the stick ( no pun intended) and with gods help I hope to take it to the finish line a winner.